Very many criminal convictions can result in a permanent resident being placed in removal (formerly called deportation) proceedings. It is very important that any non-citizen, even a permanent resident, obtain proper advice from an immigration attorney prior to deciding how to handle the criminal case. Though many applicants have some minor criminal issue, we have chosen not to focus on matters with serious criminal issues that may be the basis for removal proceedings. Permanent residence allows you to live and work in the U.S. indefinitely, but you need to be living in the U.S., or you can lose it by abandonment. The general rule, without getting too detailed, is that if a Lawful Permanent Resident (LPR) is out of the U.S. for six months but less than one year, there is a rebuttable presumption that he abandoned his residency. “Rebuttable presumption” means that the law presumes the residency was abandoned, but the LPR has the opportunity to rebut that presumption by showing evidence that he maintained his residency in the U.S., and never intended to abandon it. The other part of the general rule is that if the LPR was out of the U.S. 365 days, he did in fact abandon his residency. If charged with abandonment, you will need an experienced attorney to analyze the strength of your case, and advise you on the evidence you have to defend your case. The issue of abandonment is one on which the Law Office of Barbara A. Marcouiller, P.S. is very experienced, and pleased to review your case with you to determine if you would like our assistance. PLEASE NOTE: there seems to be some “conventional wisdom” or street-talk, that as long as the LPR returns to the U.S. and isn’t out for six months, there isn’t a problem. As a result, the street-talk says, an LPR can be out 5 months, and in for 2 weeks, and out for 4 ½ months and in for one month, etc., as long as they aren’t out for 6 months straight. We believe that is risky behavior! If you are in that situation, we recommend you call us to consult about the circumstances that are keeping you out of the U.S. to discuss a better path for you. If an officer doesn’t advise the LPR on this point upon attempting to enter the U.S., it absolutely will come up when the LPR applies for U.S. citizenship. You may believe you are about to become a U.S. citizen only to find your case denied, and if you aren’t successful in your reply to the issue, you could find yourself actually in removal proceedings about to lose it all. So there are two huge points that arise from an LPR being out of the U.S. a lot. One is qualifying for citizenship, and a separate issue is actually losing your permanent resident status through abandonment. If you know you will be out of the U.S. for 6 months or longer, you may want to apply for a re-entry permit! You must apply before you leave the country. It allows you to be out up to 2 years. We recommend a consultation with us for more detail on this issue. 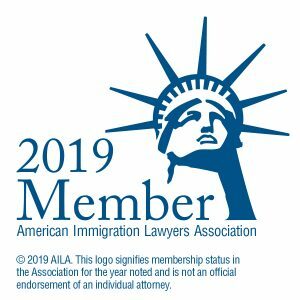 Methods of obtaining permanent residence: With few exceptions such as asylum or VAWA, the U.S. system of immigration is based on either a qualifying family relationship or a qualifying employment. Please see our separate pages for a brief overview to give you an introduction to these categories. Each category has its own body of law, and each case requires thorough review and analysis.